This was it, the big one. Running all four races, one after the other, at Bournemouth marathon festival. A total of 48 miles being run in my home town. Last Friday afternoon I was interviewed by James Burford on BBC Radio Solent about the challenge ahead, I had featured in a paragraph or two in the local Bournemouth Echo newspaper and things got very exciting. Upon reflection, this was my first of two low points. When I first decided to take up this challenge, one of my main reasons was running for a charity that I had enjoyed close ties with and that meant a lot to me. It gave me a sense of purpose. I have written about it before, but the BAAF closed down a couple of months back citing government cuts and mismanagement. The charity who took on various facets of their work is Coram. I have had email exchanges with their director and their sponsorship team and despite me chasing them up and telling them that I wanted to continue to raise funds for them, they simply did not get back to me which was a real shame. I was actually chasing up a charity to raise money for them! Surely charities should be working closely with people like myself who are keen to raise funds and getting plenty of media attention etc. So while I was being interviewed, it seemed sad to me that I was unable to send people to my charity fundraising page as it had been taken down when the charity closed. I raised over £3500.00 for the BAAF earlier this year and am still incredibly proud of that. Time for talking is over. Let’s get running. See you all in 48 miles time…. Those quotes are the ones I used throughout my training as running mantras, and the song has been played often on my Walkman during my training. It is a favourite of mine and I love the message that I bent to fit my own circumstances regarding running. I was ready, I had trained hard, I was pumped up and ready to go. I spent the morning and middle of the day with my kids who kept me very grounded with play all morning. Then I got changed and headed out. I run most of my college’s hypnotherapy training courses here in Bournemouth and I run all of them here in Bournemouth at the Marsham Court Hotel. I have used it for years, would never use anywhere else, and they kindly let me park up there at the hotel and I strolled down for the first event – the 10km Supersonic run. There was a great atmosphere, loads of runners and the crowds were very supportive. I saw a few people I knew, and the race was underway. I completed the 10km in 39 minutes. I wanted to give a good account of myself but also wanted to ensure I was not going to burn myself out with all the running that was to come, so recording a sub 40 minute 10km time was what I had planned. I picked up my first medal of the weekend, then went and changed into my next dry race vest with my next race number and rehydrate ready for the next event. The 5km Speed of light race was just wonderful. The place was packed with runners and a big crowd. The runners were all wearing fluorescent clothing and all runners were given headlamps to wear if they wanted. As I stood at the front looking back as the natural light was fading, it was really cool to see all the headlamps bobbing and shining. Once the race started, it was dark just after 7pm and was marvelous racing in the dark with so many lit up runners. I clocked a 19 minute 5km time, got my second medal of the day, and then headed back home. I got home, got showered, felt a little bit tired, but ate dinner and went to bed. I struggled to sleep deeply following the runs, and I usually run very early in the morning, but am used to not sleeping well the nice before big events. My plan had always been to run the half-marathon fairly quickly. After all, I had to run to the finish at Bournemouth pier, then get all the way back to Kings Park again ready for the start of the marathon. My legs ached a tiny bit, but I felt good, and I got some good mile splits in for the first half of the race. As a result, I knew I could ease off slightly with the second half of it, saving my energy and still have enough time for getting to Kings Park. I finished the half-marathon in 1 hour and 33 minutes. It was a lovely cool morning with sun coming out, the course took in both piers which we got to run up and down again, here’s another photo of just that….. I grabbed my third medal of the weekend, paced through the park to the Pavillion Theatre, where my wife picked me up, kids in the back, and I got changed, rehydrated a bit while I was driven to Kings Park. I arrived at Kings Park at 9:50am, the start pens were full and I made it up to the Orange pen. I hung around at the very back of it, stretched my legs out a bit and readied myself for the final and most grueling part of the weekend. The sun was shining, I donned my sunglasses and running cap and once the elite guys had been announced, we were off again. I got a kind mention from the guys on the PA system, several runners were chatting to me about what I was doing and I felt good. The first couple of miles just skipped by. By mile 5 I was feeling heavy legged but had prepared for that, and mentally prepared for the fact that having run nearly 30 miles, I still had over 20 to go. I felt in a good place and ran at a nice, slow, even pace. I took on some fluids at the early stations and just plodded – one foot in front of the other – this was my plan now, just get to the end, enjoy the event, chat with other runners, have fun. Except it didn’t pan out that way. During mile 8, I got a sharp pain in the back of my left knee, I shook it off, kept running and then it turned into a searing pain running up the back of my left leg. I hobbled to the roadside, sat down and massaged it, it felt ok, but as I got up, I could not bear weight on it at all. I knew instantly that I was not going to be able to race on it from there. I then started to feel incredibly nauseous, but worst of all, I began to feel sad. This was not my vision of how things were supposed to go. I thought of all the support I’d had, I thought of how I’d planned on celebrating, I thought about all the things that could possibly frustrate me, and as a result I became frustrated. I’ve seen a physio, got plenty of sleep since and beyond the usual aches and pains that someone my age should have after a race weekend, I feel fine and so do my legs. I have pulled the muscle slightly, but it is no more serious than that. So I cannot even use the excuse that I got badly injured. I’m having some time off running this week and will be back in training and aiming to be stronger than ever very soon. There were many things that I could have done differently and that I have learned from, in particular my preparation the night after the shorter races and before the longer ones. I still ran three good races and have lived to tell the tale. I am disappointed in that regard, but am also more determined than ever to achieve plenty more this coming year. I still got 3 very handsome medals for my efforts and I am incredibly proud and happy of that, and despite the two lows that I mention here, it was a wonderful experience that I enjoyed immensely and have learned a great deal from in running terms, and in personal terms it was an experience that taught me a lot about myself. It has been a great running year for me, with a bunch of PBs recorded, achieving a ‘good for age’ London marathon place for 2016, coming 14th in an IAAF approved marathon, doing my first Ultra marathons and personally running more miles in a single year than any other, to date. 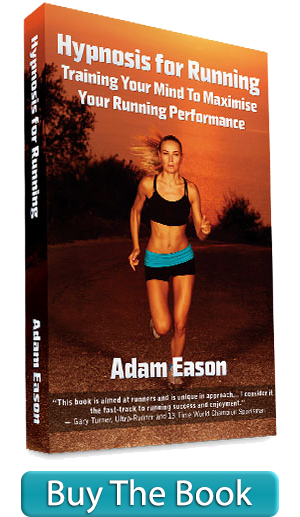 Business will resume here at this blog very soon too with lots of psychological intervention and ways to advance your running performance using your mind. We’ll be back very soon. A very big, hearty thank you to everyone who supported me and offered up so much love to me for this event, I cannot express how much it has meant to me. I really enjoyed reading this and seeing you run over the half marathon finish line on Sunday. There is a passage in one of my favourite books “Racing Through The Dark” by David Millar the GB cyclist. He writes about a day on the Tour de France when he attacked the peloton, alone he held them off for hours but perhaps inevitably got caught in the last few kilometres. I think it can just as easily be applied to endurance running, and to what you have achieved. “People rarely remember the lone breakaways – only when they succeed perhaps. It was a mad move on my part. But cycling is mad, beautifully so. The beauty, suffering, grandeur and panache are what make it special. One of my running heroes Steve Prefontaine came 4th in the 1972 Olympic 5000m final after giving it a very good go, and that has a similar feel to it…..
What an awesome read and what an awesome achievement. I wanted to share an exchange of text messages that you and I had as it was a real exciting moment for me on Saturday as I tracked each race result come through. That’s who you are, it’s the way you are and you should be proud of that. Hahaha, I forgot about that. Thanks bro, my exchanges with you are very good for me on race days! What a fantastic achievement, well done Adam. Having read your write-up, you absolutely nailed the first three races and had a good crack at the last. 75% is pretty impressive!! Well done, you should be really proud……Now close your eyes and bathe in the spotlight of success…..Goooooood!!! Subscribe to the 'Adam Up' ezine filled with tips, strategies, techniques and lots of hypnosis goodness delivered to your inbox every week. Pictures of My New Running Buddy…. It’s All About Time On Legs… Can I Stand It? The Hypnosis Geek is Back Running, With a BIG Challenge on The Cards!